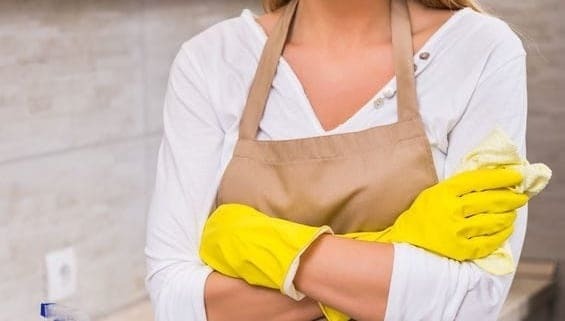 Many commercial household cleaning products—glass and window cleaner for example—routinely come in a bottle with a handy sprayer. And we love that, as long as it works the way we expect that it should. First, there’s the problem of a bottle design that makes it impossible to spray out every last bit of product because that tube doesn’t go all the way to the bottom. Or the mother of all frustrations: When the nozzle clogs up or for some other reason the thing just refuses to spray. Grrrrr! There’s no way to fix that bottle design, but with a little diligence you should be able to get the sprayer unclogged and working again for at least as long as it takes to use up the product (hot water, a paper clip to clear the nozzle, taking it all apart). The sad truth is the nifty sprayer that comes with that window cleaner or all-purpose cleaner is meant to be disposable. It was designed to die about the time you need to buy more cleaner. Think of these sprayers as you do cottage cheese containers and screw-cap soda bottles. They’re considered single-purpose, one-and-done. Know this going in and you’ll save yourself a lot of frustration. The solution is to stop relying on cheap, disposable sprayers. Understand the difference between disposable and quality spray bottles, then choose to own a few of the latter. I’m fairly certain I’ve purchased and tested just about every spray bottle known to the civilized world. Some have triggers that are painful to use, others rely on annoying pump action. Some bottles are too small or the grip is so poorly designed, I can’t even get my hand around it and lift the bottle at the same time. Some sprayers fall apart way too soon or become hopelessly clogged, which drives me mad. But rest assured not all are troublesome. I’ve narrowed the field to two—large plastic spray bottles and smaller glass spray bottles, both of which in my opinion are 100% awesome. Harris Professional Spray Bottle. This is the closest to perfection I have found in a plastic spray bottle. 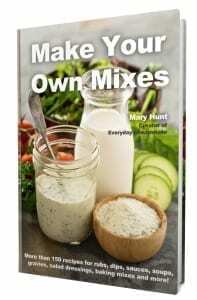 The bottle itself is 32-oz., which is large enough for any use, but works for small jobs as well. The bottle has ounce measurements printed right on the side. It comes with a pressurized sprayer, which means it’s always at the ready. I don’t have to pump several times to get the thing going once it’s pressurized upon first use. The nozzle is adjustable. This heavy-duty plastic bottle is well-designed to handle chemicals and harsh solvents. Best of all, the trigger on a Harris Professional Spray Bottle is large enough for four fingers. That makes repetitive spraying so much easier. I’d not considered how helpful that would be. The grip and trigger on this bottle fits my hand, but also my husband’s—that’s a wide range. 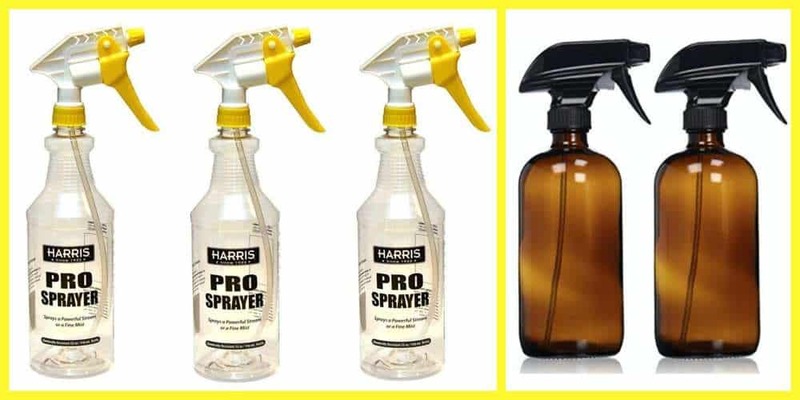 I get Harris Professional Spray Bottles online in a 3-pack for about $15; less than $5 each. Amber Glass Spray Bottle. I use these smaller 16-ounce amber glass bottles for essential oils, cleaners that contain hydrogen peroxide (need to be shielded from light and the amber makes for a dark place) and various other kinds of health, beauty and cleaning solutions. This is the bottle I use for Nok-Out when I have a small odor elimination issue. It’s handy that way. The spray top that comes with each amber glass bottle works great—flawlessly in fact. So far and after years of use, I have not had one sprayer clog or fail. Because it is difficult to see inside this bottle, I mix products first then fill it using a small funnel. That’s not a problem, really. Just a heads up tip. These amber glass spray bottles come in a 2-pack with handy labels. They’re so lovely, I have used them as gifts, which should get your creative juices flowing. (Only 8 months until Christmas.) About $13.